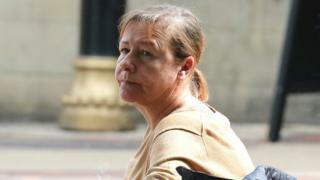 A bus driver stole £38,000 by keeping a share of customers' fares for herself, a court has heard. Louise Egan drove a shuttle bus between London Luton Airport and Luton Airport Parkway railway station and is accused of stealing the cash between April 2016 and July 2017. Luton Crown Court heard the theft was uncovered in June 2016. The 47-year-old pleaded not guilty to two charges of theft totalling £38,258 from Govia Thameslink Railway. Ms Egan, of Hallwick Road, Luton, was employed by a bus company who were sub-contracted by Govia Thameslink to take people to and from the airport and train station. Prosecutor Daniel Wright said the theft was uncovered in June 2016 while a review of the shuttle bus service takings was being carried out by Govia Thameslink analyst Nikki Hill. The review found there were "considerable shortfalls" in what Ms Egan had collected in fares and what Govia Thameslink received. The jury heard each driver would finish their shift by putting the money they had taken into a bag with a receipt which showed the total takings for that day. The bag would then be sealed and deposited in a safe at the bus company before being collected by G4S and paid to Govia Thameslink. Analyst Mrs Hill said that after discrepancies were uncovered, she and her team examined bags put in the safe by Ms Egan over five days. The team found £706 was missing. The court heard the investigation looked at takings between April 2016 and July 2017 and that total "losses" amounted to £38,258. Mr Wright said officers from British Transport Police looked at Ms Egan's bank account and during the same period she was making "large cash deposits, sometimes up to £2,000". "Once she had been dismissed these cash instalments stopped," Mr Wright said. "She doesn't accept she stole any of this money. The Crown say how else could that money have gone missing."